Home » Looking For Boiler Training Courses? 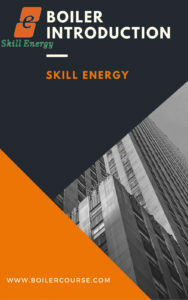 Skill Energy Workshop is a leading group of professional conducting boiler knowledge training course in Malaysia, we focus on boiler training program. Our program mainly cover most of the boiler knowledge from fundamental operation concept to site boiler operation training. Our value is our knowledge in boiler industry and we aim ourselve as providing boiler training programmes for individual and company. We do have syallabus cover for individual who want to gain knowledge in this field or willing to sit in an examination for JKKR licence. Why Should You Participate our Boiler Training Course? We have an extensive Boiler Training Program that suit for your boiler knowledge needed. Lessons are conducted by qualified and experience lecturer to ensure classroom knowledge could apply in site operation. Our experience boiler lectures have consistently delivered result for individual sitting for Boiler man certificate exam.